Hey, hey, as a certain cartoon clown says. Dev is here with her Dancing Shoes. But ho, ho, someone has cropped her picture on the original cover artwork of her single above her knees and the one critical thing missing is a look at what her dancing shoes look like. On the remix we find a babe who is keen to show us her black and white, high heel dancing shoes. In fact she is so keen to show them to us that she seems to have forgotten to put a dress on to go with them. Forgetful! 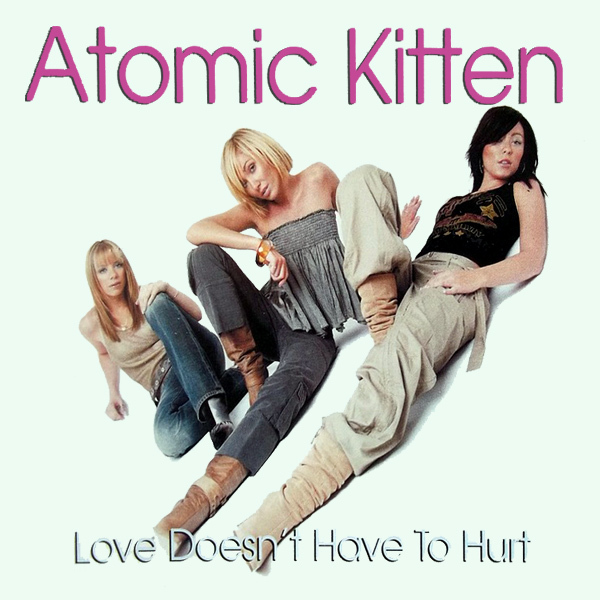 According to Atomic Kitten, Love Doesn't Have To Hurt. That is quite a statement to make, especially if you don't justify it but just use the original single cover artwork to sit on the floor showing off your jeans and boots. On the remix we find that love can hurt, as it obviously is doing for the babe concerned. It doesn't have to though, so perhaps she should find a more comfortable position. Missionary! As we often say at AllBum.Art, sometimes it is the title of a song that inspires a remix, and sometimes it is a piece of artwork. 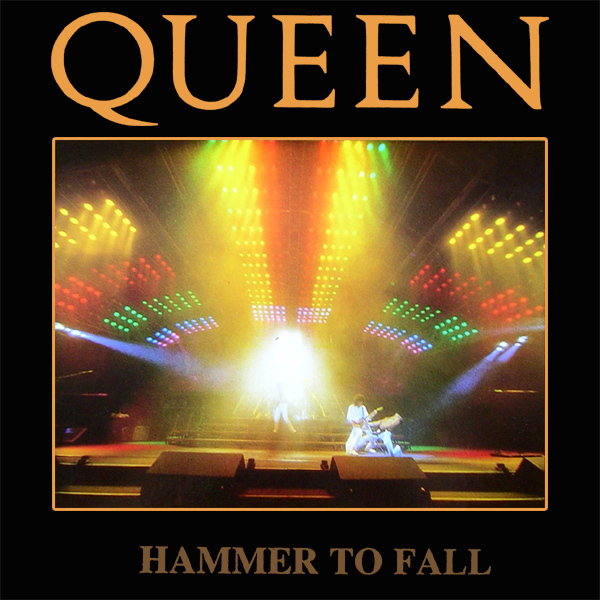 This remix of Hammer To Fall by Queen falls into the latter category. It is not helped by the fact that the original single cover artwork, although showing the band's impressive lighting rig, does not have a hammer anywhere to be seen. On the remix, though, we find two babes who, if their hammers were to fall, would cause untold injuries to a third. It is to be hoped that their hammers did not in fact fall, but they themselves fell over due to having to hold up such a heavy weight wearing naught but high heeled boots. Topple! 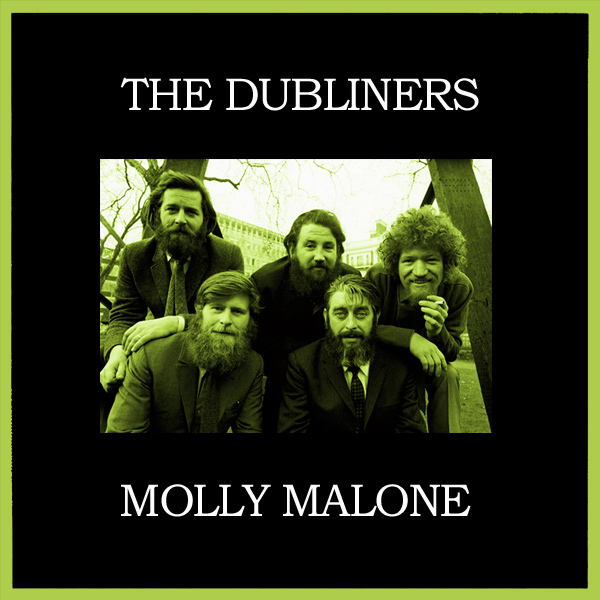 Another triple-play remix from us good folk at AllBum.Art and as it's St. Patrick's Day we thought we would celebrate by bringing you that famous Irish song Molly Malone as performed by the Dubliners. On the original cover artwork we find the band in a shade of green. Now that's OK, but it's not really hitting the St. Patrick's Day vibe. On the first remix we find a babe wearing an Irish hat. That's nearer the mark. On the second remix we find a babe wearing an Irish hat and carrying beer, standing next to an Irish man also wearing a hat. Now dat's more loik it, to be sure! It seems that Jennifer Lopez has a thing about shoes, given the title of this single Mile In These Shoes, not to mention her single Louboutins. We are not quite sure what the original cover artwork is trying to portray. Is it that walking a mile in silver high heels leaves you very sweaty, or is it that the real problem is walking a mile through water. On the remix we find a babe who does not look happy about walking a mile in her shoes, but that might be because other than her shoes, she only has her coat to keep her warm. Kilometer! 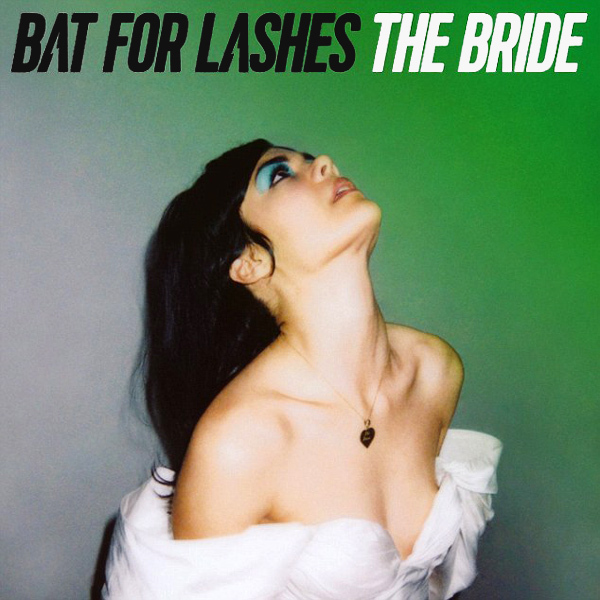 When Bat For Lashes put together the original cover artwork for their album The Bride, they made a valiant attempt to score high points (on the AllBum.Art scale) in that they have a picture of a band member who is wearing vaguely bridal attire. On the remix, the band member has been lost, but in her stead we have an alternative bride, whose attire is both more bridal, yet more minimal. At the same time the words fake, reflection and mirror come to mind, amongst other things. Wed! 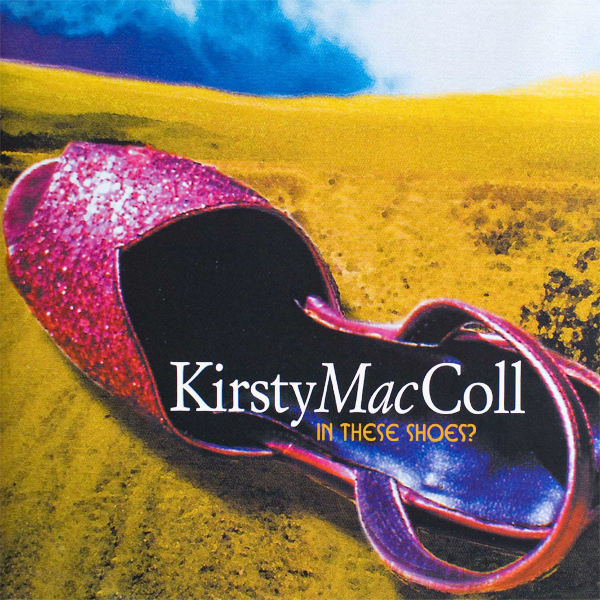 So it seems from the original cover artwork of In These Shoes by Kirsty MacColl, that we can see the shoes she is talking about, being, as they are, sparkly and pink. But what is it that she was trying to achieve in those shoes? On the remix we find a babe with similar but gold shoes and as far as we can tell, what she doesn't want to do in those shoes is sit down on the road and put her stockings on. Odd really, as the road must surely be colder without her shoes on. Unfathomable! To give credit where it is due, Basshunter have done quite well with the original cover artwork of their single Angel In The Night, as what it shows is a babe (who we could go so far as to admit might be quite an angel) who is sprawled over a car which might be at night, though the lighting doesn't confirm this 100%. The remix is far more explicit with the song title though as we find an angel who is hanging around the streets of a city at night. Nice wings! 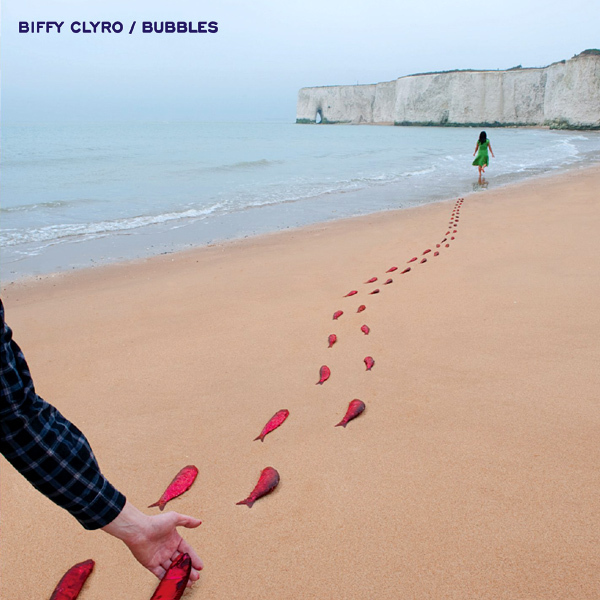 It seems very odd to us that on the original cover artwork of their single Bubbles, Biffy Clyro choose to illustrate the song with the footsteps of a girl who is walking along a beach into the see having been replaced by red fish. Then again, we couldn't be bothered to listen to the song to see whether this fishy tale is actually in the lyrics. Either way, we think our remix which shows a group of babes playing with bubbles is far more representative of the song's title. Globules! 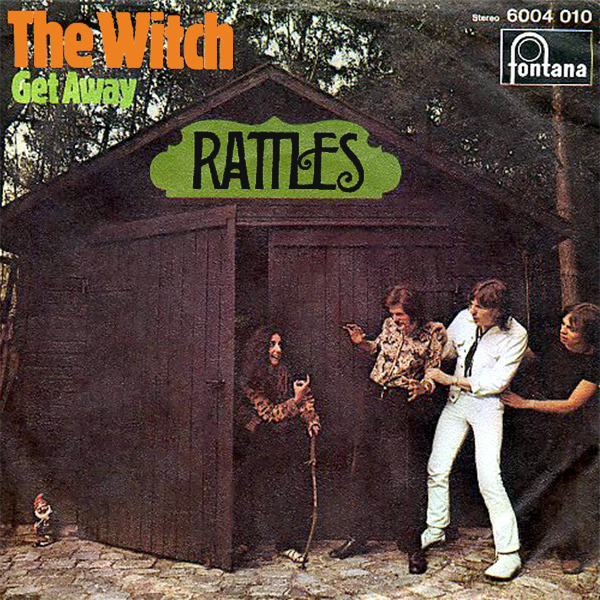 It seems that all that Rattles believe is necessary on the original single cover artwork for their single The Witch, to make us believe that there is a witch is for one of the band members to hide in a shed and beckon the other band members to join her through the use of a crooked finger and a wooden stick. We don't think so. So on the first remix we find a babe who is also using a wooden stick but is much more enticing. On the final remix we find a babe who has done without the wooden stick altogether, but seems to be in the altogether. How do we know she is a witch? Easy, she is wearing a hat. Spellbinding!